1. 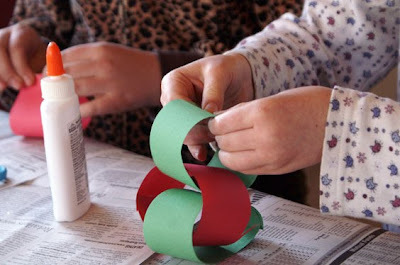 Gave in to my nieces' pleas for a craft project and we made Christmas countdown paper chains. (Yes I do think that's a success, actually.) See below. 2. I have finished almost all of the Thanksgiving leftovers. Fried stuffing balls are actually pretty good, hehe. 3. I made a pretty Advent wreath for $7 (yay Dollar Tree). Check out others' small successes this week at Faith and Family Live! It was a very simple project. 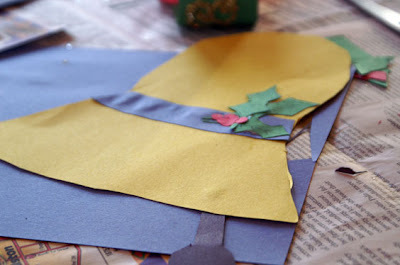 Made a simple bell using construction paper. (It just decorates the top of the chain). 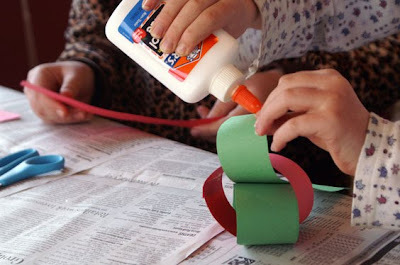 Divided the construction paper up into 6 parts (fold in half, then fold each half in 3rds) and made swirly patterns on every other section with glue. 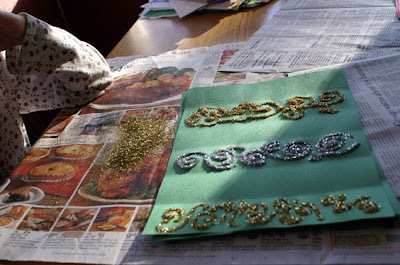 Covered in glitter (notice how my table is PLASTERED WITH NEWSPAPER... that's of vital importance). 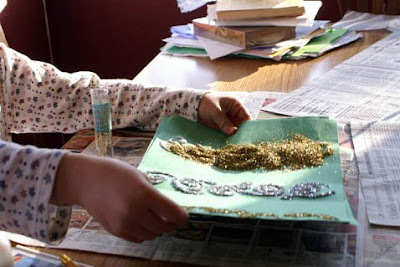 Shook off the glitter (and promptly funneled it back into the container). So easy a 2nd grader can do it. We cut the paper into strips. 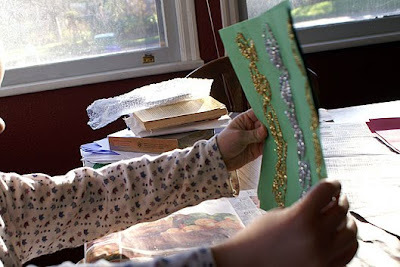 Then they started weaving them, and gluing. And holding for a few seconds. 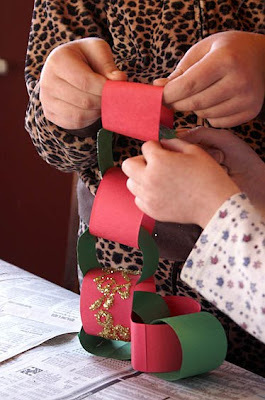 Each day they'll rip off a chain until Christmas!